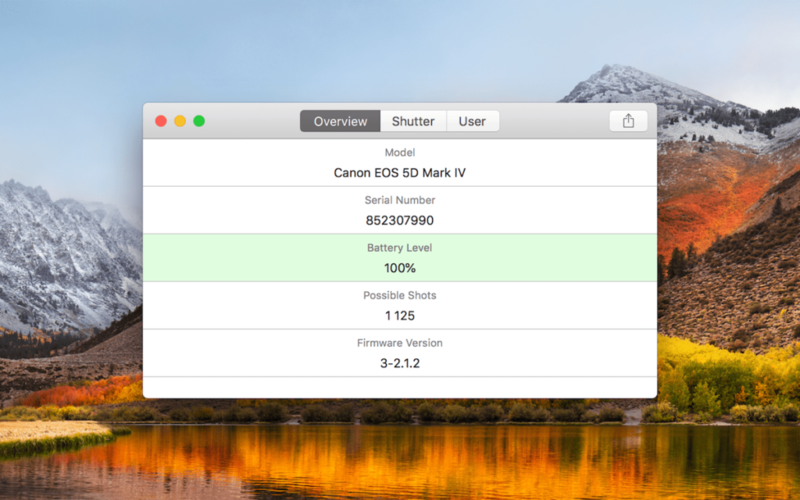 If you’ve ever wanted to know how many shutter actuations a Canon camera has, the new EOS Inspector 2 mac app makes it easier than ever. For a long time, to get a true shutter count on some Canon cameras, you’ve had to nerd out and download Java apps and learn out how to use Terminal. 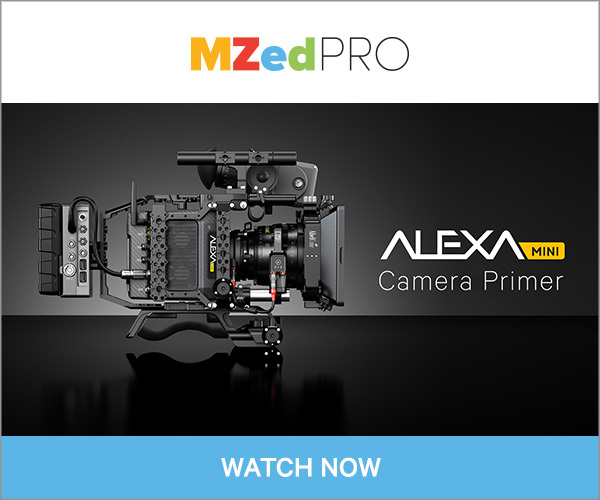 Or figure out how to install Magic Lantern on supported cameras. That hasn’t been an issue if you wanted to sell your own camera. You could take the time to figure out the proper shutter actuations. But if you want to buy a camera from someone who doesn’t know how to check the shutter count, that’s been a different story. Now anyone can download this app for $2.99, and with one click determine a detailed shutter actuation, along with other info such as serial number. For newer cameras such as the 1DX Mark II, 5D Mark IV and 5DS, the app gives a little more details. It shows you how many photos were taken through the viewfinder vs the live view, for example. Eos Inspector also gives you a rating for the specific camera’s shutter count. Some pro bodies can go up to 400,000 guaranteed clicks, whereas a consumer DSLR can go up to 100,000 or so. 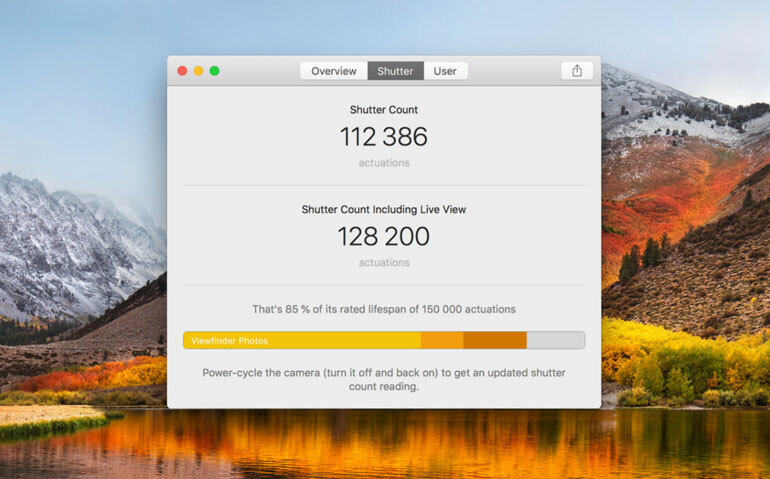 The app will tell you whether the current shutter count is close to the end of the camera’s rated lifespan. 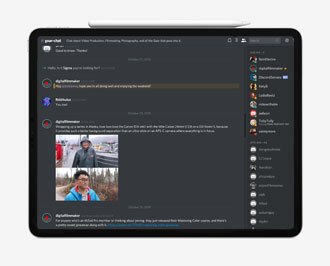 Download EOS Inspector 2 at the Mac App store.